Recipe perfect for your Thanksgiving dinner at the end of this post. The Algonquin, Chippewa, and Mohegan tribes ate cranberries as fresh fruit or dried them to be stored and eaten during the winter season. Some indigenous communities made tea out of the leaves, while the Inuktitut of eastern Ontario not only ate the berries; they smoked the leaves of the cranberry bush. A common use of cranberries was to pound the fruit with an equal part dried deer or bear meat and a portion of fat tallow. This mixture when stored in animal skin pouches would last for months. This food was such a convenient source of protein and energy that not only did the indigenous people eat this, but also it eventually became an essential food for European hunters involved in the fur trade. The Chippewa used the cranberry as bait to trap the snowshoe hare. Cree not only ate the berries, but also crushed the fruit to make a dye to color porcupine quills for clothing and jewelry. Though the cranberry was used for a wide variety of purposes, the real power behind these berries was its nutritional value. 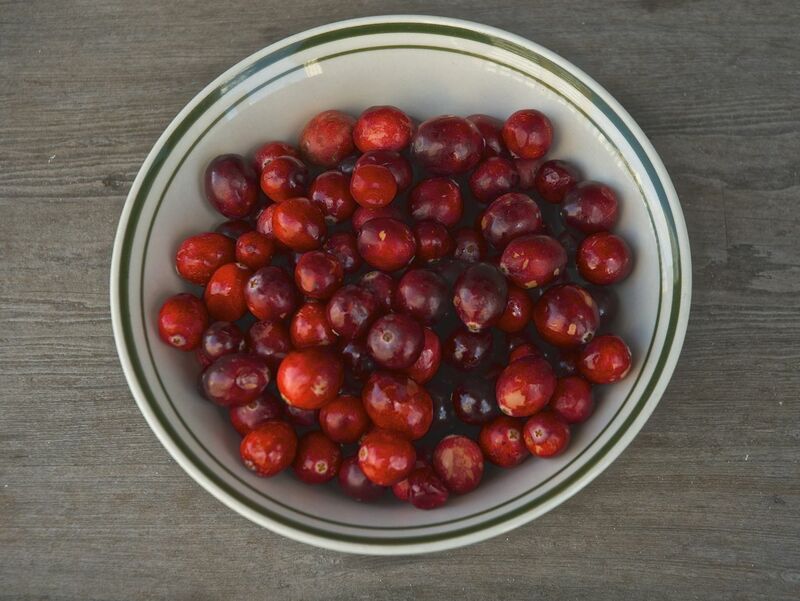 Iroquois and Chippewa ate cranberries for their restorative value after long hunting trips. Other native communities used this tart fruit as a laxative, to treat a fevered child, or relieve stomach cramps. Cranberries when mixed with cornmeal made an excellent poultice for wounds and blood poisoning. So, by the time the Pilgrims stumbled onto the shore of the new world in 1620 and were handed a basket of cranberries, as many of the history books tell it, the indigenous population quite likely knew they were offering food with restorative properties to the newcomers. The colonialists were indifferent to the way the native population used the cranberry. Over time the settlers adapted the fruit to fit the recipes they brought with them from the Old World using the fruit as they would have used similar sour fruits, as a sauce for wild fowl. Then in 1622 when the British brought honeybees to North America the use of these berries changed completely. That made it possible to use cranberries in pies and tarts. Around 1816, Captain Henry Hall, a Revolutionary War Officer, began to cultivate the cranberry. 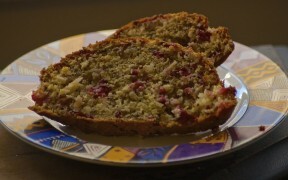 By 1820 he was shipping his cranberry harvests to Boston and New York City. He eventually introduced his strain of berries to Massachusetts, New Jersey and Wisconsin. Then in the late 1800s starters of his cranberry plants were established in Oregon and Washington State. Though there were patches of cranberries in Great Britain, Russia and The Netherlands, this sour, little berry that is harvested today and used so widely is distinctively the North America cranberry. Researchers now believe that it is the strong acidity in cranberries and cranberry juice that help prevent urinary tract infection. It appears that the acid acts as a barrier to a bacterium that latches onto the urinary tract lining. This information has led cancer research to explore the possibility of the benefits of cranberries in treating stomach ulcers and even intestinal cancer. The bright red color of the berry is dependent on the amount of sunshine the fruit gets. The more sunshine, the redder the berry becomes. White cranberries are harvested early in the season before they have changed over to a red color. 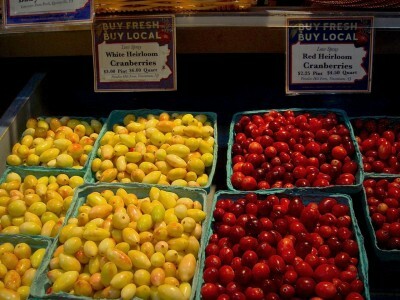 Both the red and white berries contain nutrients such as vitamins C, E and K that the body needs. This sour fruit is a rich source of antioxidants, calcium, phosphorus and potassium. Preheat oven to 350F. Grease 9×5 inch loaf pan. Mix together flour, sugar, baking powder, salt and baking soda in medium sized mixing bowl. Stir in orange or apple juice, vegetable oil, orange peel and one beaten egg. Mix well until just blended. Stir in coconut, cranberries and nuts. Spread mixture into loaf pan. Bake 50 to 60 minutes, or until toothpick inserted in the center comes out clean. Cool on rack for 15 minutes. Remove from pan and cool completely. Thank you , Margaret, for remind us all the use of those delicious berries ! Nalo, so kind of you to leave a message. Always great to hear from you!! As usual Margaret has treated us to a wonderfully researched article. I will tap into this information sharing it over our turkey dinner. Thank you for the recipe. Happy Thanksgiving to you and yours. Maila for you to share this information at you turkey dinner is one way that I can be with you and your family on that day. I can already smell the delicious food cooking. Cheers! I knew I loved cranberries for a reason. They’re good for me. Thank you for the recipe. Sound like a fun drink. Perhaps sour but fun! Interesting article. As usual, very thorough background information. The bread looks yummy! Toddi it is always so nice to hear from you. Glad you liked the information. Yes, the bread is yummy and I think the addition of coconut makes for a moister texture. It stores well, too. 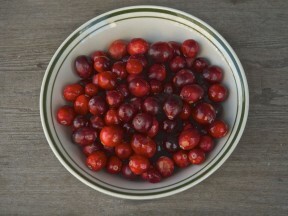 The article was fascinating – especially since cranberries are one of my favorites. They’re a low-sugar fruit and make a great sugar-free cranberry sauce as well. Thanks for the history. Thanks Jeri for coming by. Yes, I found out that they are a real good food for diabetics and serious sugar restricted dieters.